Chad Rico is a budding hip hop artist whose epic curriculum vitae includes college math professor, entrepreneurial clothing manufacturer/designer, filmmaker and world traveler ! Chad Rico is a budding hip hop artist whose epic curriculum vitae includes college math professor, entrepreneurial clothing manufacturer/designer, filmmaker and world traveler! Chad Rico is a budding hip hop artist with a curriculum vitae of epic proportions. His new single release, “New Level,” on his label Gold & Gems, is not just a repetitive song refrain but a bold declaration from a music artist who is also a college math professor, entrepreneurial clothing manufacturer/designer, filmmaker and world traveler! “New Level” the debut single from his upcoming EP, titled “Myth,” is just the tip of a very deep iceberg from a young man who has been making mad, mythic moves since the age of three! The seven-track EP is a collection of rap songs as varied as the 35 countries the 31-year-old has visited and reflect the flavor of his nuanced experiences. A Belizean American, Chad’s legend began at birth when he was born in South Central Los Angeles, in the same hospital and at the same time as Grammy, artist Kendrick Lamar. Currently repping for the Bay area, Chad’s family relocated to Northern California where he now resides. The esteemed UC Berkeley alumni attended the university on academic scholarship at the age of 16! With a B.A. in African American Studies and Applied Math, and a masters in math from San Francisco State University, Chad also spent eight months in London in a graduate business program. The intentional student turned teacher has taught math at Contra Costa College, City College San Francisco, Berkeley City College and College of Alameda. He turned down an offer to teach summer classes at his alma mater (UC Berkeley), opting out in lieu of world travel plans. Chad started traveling at the age of three, when he boarded his first plane, alone. The experience had an empowering impact, influencing him to become a world explorer. He has visited every Disneyland around the globe except for the newest one in Shanghai. He has filled several passport books in a five-year span with vacations that include Belize City, Dakar and Barcelona. The music business is a natural extension of Chad’s inventive persona. In addition to a music company, he has owned and operated his Gold & Gems clothing business for the past five years. He and his team design collectively and have created a fashion line of t-shirts, hoodies, crewnecks and strapback hats that one can rock anywhere in the world. The young college professor is also working with legendary film producer Haqq Shabazz and has plans to executive produce and release a film next year. “Party Bus” will be based on his adventures and misadventures while traveling. 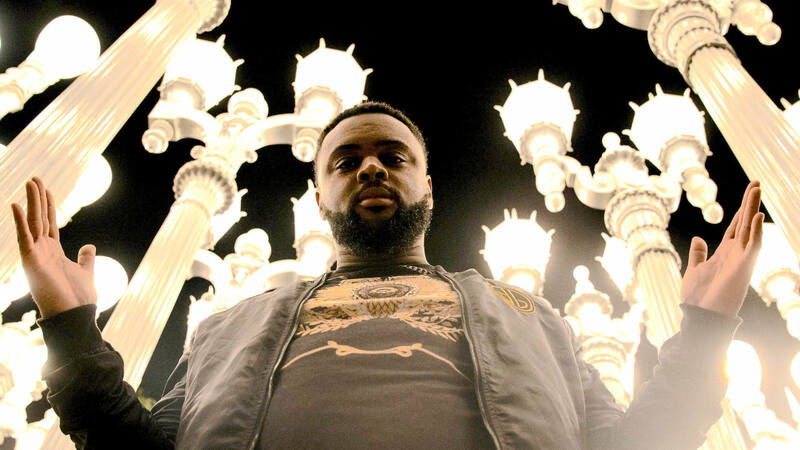 While Chad’s debut release “New Level” from the new EP “Myth” marks his entry into the music game, another track, “Click Click” showcases the professor’s street edge with razor sharp lyrics. “Night in Barcelona” recounts one of many travel memories while “Workin,” a collaboration with Gold & Gems Records’ Kam Krzy, proves that Chad’s acumen is not limited to the classroom, with a flow that shoots real game. Rap fans know that the Bay area is widely recognized for its cliques. Chad’s entourage, the Cash Register Crew, is headed by his brother, Deezy. An enterprising group of young men, they model themselves after Chad’s example, and in addition to music and business, they devote time to giving back to their Richmond, CA community. Cash Register Crew even started an AAU basketball team to give local youth an athletic outlet. Many of them have traveled out of the country, alongside Chad, and everyone has either graduated from college or is pursuing a college degree. Hip hop has given rise to many myths, included LL Cool J, P Diddy and Jay Z. Chad Rico is laying claim to the next throne and he has all the skills to make the grade! Take a lesson from him at www.Chadrico.com and on Instagram at @internationchadrico and get properly educated.